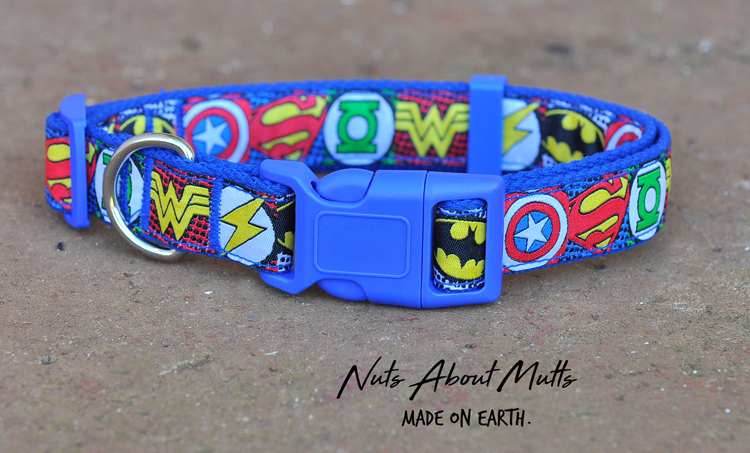 Super Heroes dog collar is bright and bold. You can choose either black buckle with black webbing or red buckle with red webbing. * Our collar range is Aussie-made and cruelty-free! X-LARGE fits neck size 50-60cm approx. Collar width 25mm. Don't see your dog's size here? Msg us at info@nutsaboutmutts.com.au and we'll make one up for you! Pls message us and we'll make one up for you! Your order will be sent per regular letter post without tracking. We are not responsible for theft or loss by Auspost.